Lord Petyr Baelish, a.k.a. Littlefinger, has told so many lies, half-truths, distortions of the truth, and lies of omission that it can be somewhat difficult to ever believe him, even when he’s being genuinely sincere. Then again, Lord Petyr Baelish has certainly given us plenty of clues all along that he is not a man to be trusted; this is the same guy, after all, who told Ned Stark back in season one that “distrusting me was the wisest thing you’ve done since you climbed off your horse.” He even deceived his lifelong, unrequited love, the late Catelyn Stark. (Ever notice how many people who trust him end up dead?) Now that Lysa Arryn has revealed that some dastardly deeds originally attributed to the Lannisters — most notably, the murder of the late Hand of the King Jon Arryn, which set into motion a series of events that led to the War of the Five Kings — were actually schemes cooked up by her ambitious fiancée, we figured it was time to look back and assess other Littlefinger lies. The Truth: When Catelyn questioned Littlefinger about the dagger used in a murder attempt on her son Bran’s life, he directed her to another suspect, under the guise of helpfulness. He cautioned her not to spread this information, because it would be considered treason. (More likely that he didn’t want his lie to unravel.) He then promised to help her find “the truth,” and promised to try to help keep Ned Stark alive, “for her sake.” This lie led to Catelyn arresting Tyrion for a crime he didn’t commit, and to Jaime Lannister accosting Ned Stark and killing his men for the arrest of his brother. Stark-Lannister tensions hit an all-time high accordingly, and Littlefinger played both sides. How Does the Justice System Work in Game of Thrones? The Truth: This is one of those half-truths Littlefinger loves to tell, where he seems to provide useful information but it’s actually misdirection and part of a larger scheme. Offering to help retrace Lord Arryn’s steps to solve a murder he helped commit sets Ned Stark down a path towards a different truth. 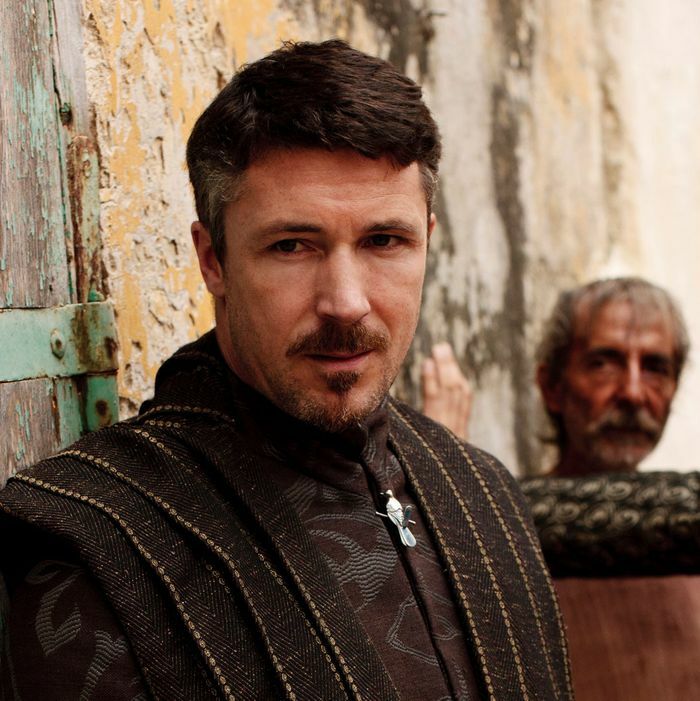 The Truth: Littlefinger knew full well why Lord Arryn was searching for all of King Robert’s bastards, and it wasn’t to set up a brothel day-care. He knew full well about Cersei and Jaime’s twincest, as he alluded to in a discussion with her, but he wasn’t about to reveal all to everyone else. His larger game needed a man as honorable as Ned Stark to discover this truth on his own, so he couldn’t ignore it. The Truth: Littlefinger had no intention of letting Ned Stark have the backup he’d promised to finance, even though Lord Baelish could have afforded it. “I did warn you not to trust me,” said Petyr, as he puts a blade to Ned’s throat. The Lie: “A dear friend,” referring to Lord Varys. The Truth: Sure, Sansa was somewhat safe, if suffering, at King’s Landing, and Arya was able to fend for herself on the road — but Littlefinger didn’t know anything about the safety, health, or whereabouts of the littlest Stark daughter. In making their worried mother believe that he could deliver both girls, he brokered a deal to trade the one Lannister for two Starks. Of course, he probably shouldn’t also have denied that he hadn’t betrayed the Starks at all — which somewhat undermined his credibility. (“False reports!” he proclaimed). The Truth: Although this could have been true, we never saw anything that indicated that this would be true, and only seems to serve Renly’s belief that he could have easily taken King’s Landing, even though he didn’t have as good of a claim or as many troops as his older brother, Stannis. Littlefinger, hedging his bets. The Truth: Littlefinger, hedging his bets again. He doesn’t want the Tyrells to declare for Stannis — his army and their riches would be an unbeatable force. By sowing mistrust about Team Renly, he provides a window in which they will trust him as he suggests they play a long game to get their justice and revenge, and make Margaery a queen (again). The Truth: Playing all sides! To the Tyrells, Littlefinger says he will help them get revenge against Stannis and make Margaery queen. To the Lannisters, Littlefinger says he’s playing the Tyrells so the Lannisters can share their wealth for now, and discard them later. He brokers a deal to unite the houses, and makes each side believe he’s on its side. The Truth: “Home” doesn’t exist anymore for Sansa. She thinks he means Winterfell, but he means the Vale. In a way, she does have relatives there, so it’s kind of a home — but what relatives! An aunt who killed her own husband and lied to her own sister about it, a cousin who wants to kill Sansa’s husband, and an “uncle” who has a curious interest in her. And at this point in the game, Littlefinger isn’t truly offering to take Sansa anywhere, but testing whether or not she’ll leave King’s Landing right now. He’s already learned that Loras Tyrell is engaged, thanks to his fruitful scheming to have Olyvar seduce Loras and get intel, and Littlefinger is confirming whether the bride-to-be is Sansa, as he suspects. When she declines his offer to leave, he spills the news to the Lannisters, which leads to her forced marriage to Tyrion instead. The Truth: Dontos followed Littlefinger’s orders to help deliver the poison to the wedding and steal Sansa away from the scene of the crime, and paid with his life. As so many people who trust Littlefinger do. Who will be next?